QUEZON CITY, Philippines - Members of the Quezon City Police District Police Office-Press Corps on Tuesday sought the intervention of National Capital Regional Police Office (NCRPO) Director Nicanor Bartolome to sanction the chief of Police Station 10 in the city where the corp’s press office is also housed. This was after the station commander confronted the mediamen and lambasted them yesterday. “Hindi ako natatakot sa inyo. Kilala ba n’yo ako [I am not afraid of the press corps. Do you know who I am],” Supt. Crisostomo Mendoza was quoted as saying while in uniform when he rushed to the press office to accost the mediamen because of a column item written by the press corp leader Almar Danguilan. Mendoza was mad at column items written by Danguilan questioning and suggesting how he could fight corruption in his turf since some of his men might have been using his name for protection rackets. The station commander told the mediamen that his office was the one providing all the expenses for the press corps, and that they have no right to question his manner of handling the police station. 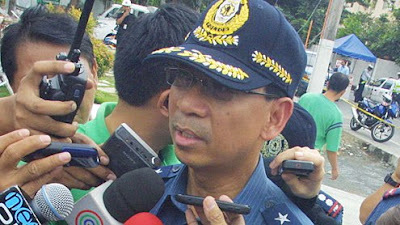 Mendoza earlier prohibited the vehicles of mediamen from parking beside the press office, prompting Danguilan to initiate a dialogue with Mendoza who declined. The made Danguilan write a column item to get the attention of the police official.